Jeju 16 Water was discovered on Jeju, a volcanic island off the coast of South Korea. Very few places on earth have the ability to produce a naturally purified water with the mineral enrichment nature intended. This island does just that by naturally purifying the water while it passes through sixteen layers of porous volcanic bedrock. One of the benefits of this process is that it does not strip away the essential minerals your body needs; while leaving you with softer, but crisp and refreshing water. Directions: Add all of the ingredients into the blender jug in the order in which they are listed. Blend the ingredients on the highest level setting, such as "liquefy," until the juice is well-blended. (It will be the consistency of a smoothie.) If you want to enjoy the pulp with your juice, pour the mixture into glasses and serve. If you prefer a thinner consistency, pour the mixture through a fine mesh sieve, and using a spatula, press the pulp into the sieve to extract as much liquid as possible. Pour the strained juice into glasses and serve. Disclosure: Recipe and photo is courtesy of Jeju Water. Please visit their website to learn more. I like this recipe for its ingredients and the detox effect is just another plus for me. 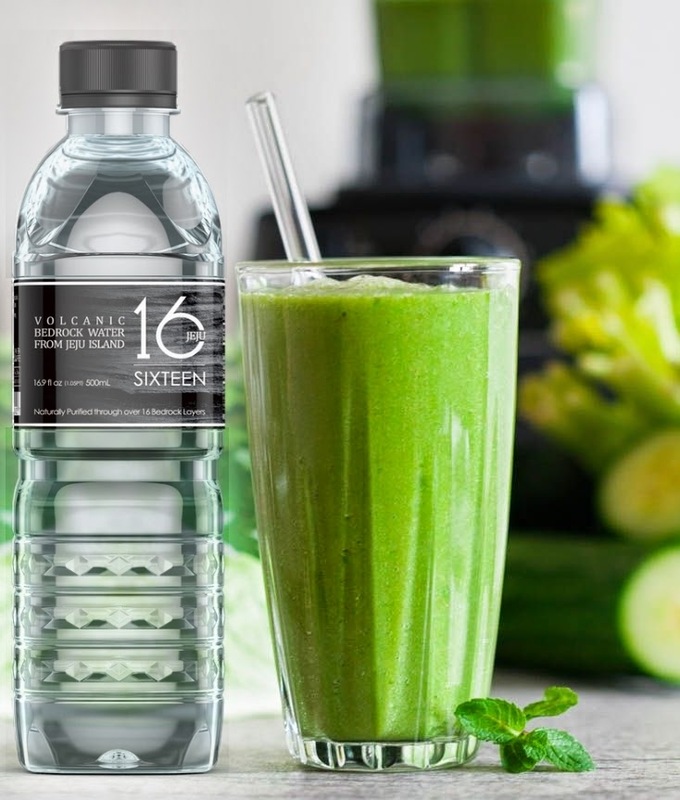 I shall have to try the Jeju 16 water and this drink soon.